Do the Democrats Want the Missing Voters? New Orleans A nonpartisan research organization found that 37% of nonvoters in the midterms were 18 to 29 years old compared with just 12% of those who voted. More than half of the nonvoters or 55% make less than $50,000 compared with 34% of voters, and only 20% of nonvoters have a college degree, less than half the 42% of voters who do. These are people right in the heart of the classic ACORN constituency. They also found that these voters were slightly inclined to vote more Democratic than they were Republican, but also were significantly undecided. These missing, nonvoters were much less inclined to vote Democratic than the voters that actually came to the polls in the midterms. 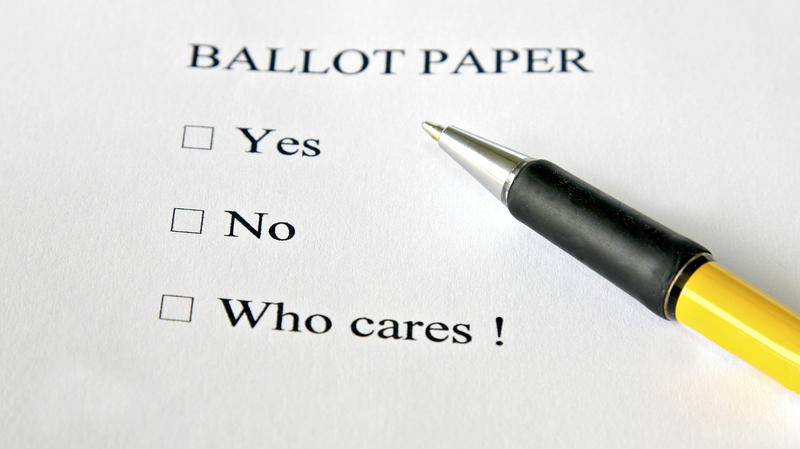 In theory, in our democracy, we want everyone to vote, and sometimes we even say that’s the case. Often the Republicans are painted as the king of voter suppressors, and no doubt they have earned the title, but I wonder when it comes to actually doing the hard GOTV work or investing in those “missing voters” actually showing up and participating, whether Democrats might be big talking and slow walking. A surprising set of states stepped up against voter suppression. Voters in Michigan chose to end partisan gerrymandering, as did citizens in Utah, Missouri, and Colorado. Michigan and Maryland also approved same day registration for voters, and Nevada opted to register voters automatically when they become eighteen. Utah and Missouri particularly have been “better red than dead” in many recent elections, but voters, regular citizens, seem to want to expand the franchise, rather than limit it. When it comes to the so-called missing voters though, if we are going to really get them to saddle up and vote, we have to make sure they see voting as something that matters to them. Suburban, college-educated women for example were low hanging fruit this election for the Democrats because Trump mattered to them, perhaps even more than whatever the Democratic candidate offered. The Houston / Harris County blue tide miracle was made possible by a long ballot and the ability to do straight ticket voting along partisan lines with one pull of the lever, rather than working your way down 90 individual races. Trump for bad, and Beto O’Rourke for good, and more than half of the voters there just pulled the lever. The researchers found that most of the missing voters weren’t leaning either Republican or Democratic, but undecided or just clueless. Talking to a woman on the phone in Detroit today, she described the problem succinctly: people don’t think it matters and don’t see anything on the ballot or any candidate that is really talking to them. As the Democrats refine their message and try to ride their wave, they may have decided not to put the time and money into moving these voters to the polls, when there were other constituencies that they felt were more reliable this election. It’s those kinds of calculations that create the breeding ground for the Trumps of the future and more defeats to come. We need automatic registration and mandatory and easily accessible voting that forces parties and candidates to do the work to meet the needs of all the people, not just the those of the donors and the latest focus groups and poll numbers. New Orleans With the midterm election fading into the rearview mirror, somehow it is becoming clearer than it was the morning after the votes were counted. 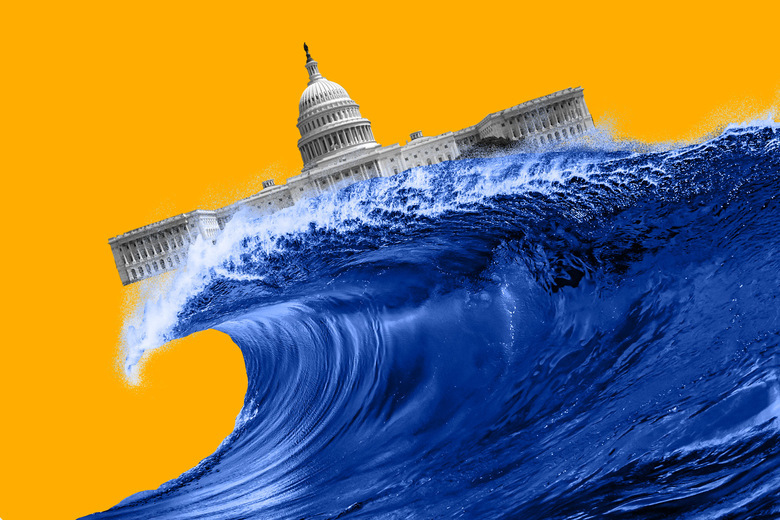 What began as a significant, though perhaps modest, victory with the Democratic takeover of the House of Representatives, with each new result and analysis seems more along the lines of the “blue wave” that boosters and partisans had predicted. Several Senate seats were lost with North Dakota and Missouri Democrats unable to shake the Trump fever in their rural base, but Arizona, long the bellwether Regain Republican bastion of retirees and white socks, not only elected a Democrat, but a younger woman at that. The Florida count is still ongoing, and could drift stronger to the Republican column where they are still leading, but still not a beatdown. The House count for the resurgent Democrats has gone from mid-twenties to some speculation that it could hit between 35 and 40 seats. There were at least seven governor seats picked up. That’s a shellacking, as President Obama noted of some of his midterm woes. Trump’s declaration of victory in the midterms is now something that will rank close to his refusal to believe the crowd count at his inauguration. The turnout was the highest midterm rush in 50 years. The Democrats won the national congressional vote by a margin greater than 2010 Tea Party rout. Women across the board surged for the Democrats, not just white, suburban college-educated women.71% of millennials and 54% of unmarried white women went with the Democrats. White women without a 4-year degree raised their vote margin for the Democrats by 13%. The support for Republicans among white working-class men narrowed from 3 to 1 to 2 to 1. 10% of Trump voters supported Democrats in the midterms and 40% of moderate Republicans either voted Democratic or stayed home. 54% of voters believed that immigrants made the country stronger, rejecting the Trump hate speeches. Democrats raised their vote share by 4% in the suburbs now holing 50% of voters. Democrats cut the Republicans’ margin in rural areas by somewhere between 7 and 13%. In short, Greenberg’s analysis is the tide is moving out even more quickly on Trump than any, including him, might have predicted. What can I say? The fight has still only just begun, but it’s clearly “on,” big time.